A new study suggests that young children who sustain a brain injury are three times more likely to have chronic health issues by their middle school years. Brains in young kids are developing functions like executive functioning, organizational skills, and independence, explained lead researcher Dr. Megan Narad. Interference with this critical development causes problems that may not appear for a decade or more. Furthermore, kids that suddenly experience problems like ADHD may not get the help they need straightaway. Their parents and doctors may dismiss the symptoms as a one-off aberration instead of the symptom of a serious injury. Curiously, Dr. Narad noted that children with moderate brain injuries, as opposed to ones with severe injuries, had an almost equal risk. “I think it is important to continue to monitor your child’s behavior, attention, and academic functioning even years after an injury,” she concluded. How Do Florida Kids Get Brain Injuries? Car Crashes: The violent movement, as opposed to a trauma injury, may be the culprit in vehicle collisions. This sudden motion often causes adults to develop whiplash. The same motion may cause a child’s brain to crash against the inside of the skull. Slip and Falls: Many kids are somewhat uncoordinated and prone to falls. So, something like a small wet spot on a floor that an adult could avoid causes a serious fall for a child. Very small children also sometimes bang their heads on tables. Playground Falls: Not many people associate playgrounds with Traumatic Brain Injuries. But many children fall off the equipment. Others get tangled in the equipment and lose their balance, perhaps because of a drawstring hoodie or shoelace. If the equipment is built on a hard surface, like grass or concrete, these injuries are especially traumatic. Altogether, head injuries are one of the leading causes of emergency room visits throughout Florida. 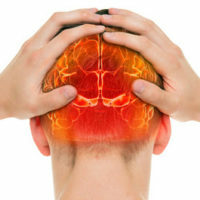 As the above study illustrates, brain injury symptoms sometimes do not emerge for quite some time. When patients do become symptomatic, it’s rather easy for doctors to dismiss the symptoms as shock or “just a phase.” Unfortunately, the longer these injuries go untreated in Florida, the more serious they become. Eventually, many brain injury patients experience memory loss, personality changes, and dementia-like symptoms. These issues make it almost impossible to function at work or at home. Currently, there is no cure for brain injuries. Stem cell therapy and some other emerging treatments offer hope, but a cure is still years away. For the foreseeable future, extensive physical therapy is often the only effective treatment. Through repeated training, uninjured areas of the brain will often assume the lost functions. Physical therapy is not always an even climb in Florida. Sometimes, progress occurs in fits and starts. If the patient shows little improvement for a few weeks, many insurance companies are quick to pull the plug. An aggressive attorney can keep the money flowing. Many times, these victims are just inches away from a breakthrough, and it’s critical that they have the resources they need to keep getting treatment. A brain injury often has lifelong consequences for victims and families. For a free consultation with an experienced personal injury lawyer in Brandon, contact Reed & Reed. We have four area offices (St. Petersburg, Lakeland, Tampa, and Clearwater).